With temperatures dropping and snow falling, staying inside covered up with a warm blanket sounds nice right now! 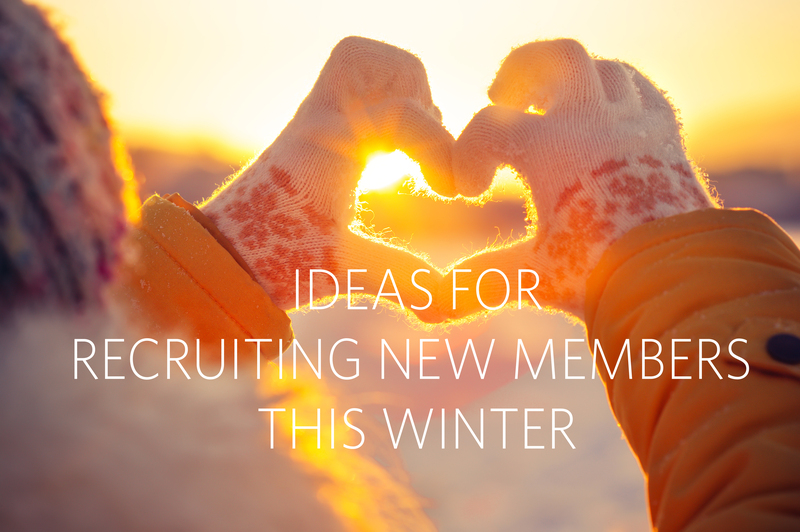 But Winter Seasonal Recruitment has started, which means it’s time to start thinking about how to bring “A Flurry of New Friends” to your next meeting. Below, GFWC Membership Committee Chairman Tammy Garland shares some great ways you can help your club gain more members this winter and throughout the rest of the year. After all, the 2014-2016 Recruitment Theme, “A Proud Past and a Promising Future with Friends,” is all about celebrating friendship. What better way than to share your GFWC membership with some new friends? As a member for 27 years, I have discovered that the more people you tell about GFWC, the more people will want to join. Be ready to share your story with others by practicing your elevator speech, a 30 second summary about your involvement in GFWC. I am a member of the General Federation of Women’s Clubs, one of the largest women’s volunteer organizations in the world. We are committed to the betterment of our communities through volunteerism and the empowerment of women. GFWC volunteers find joy in living and giving. Here, let me give you one of our cards. GFWC is the General Federation of Women’s Clubs, one of the oldest volunteer women’s organizations in the world dedicated to service in our communities, state, nationally, and internationally. Our motto is “Unity in Diversity.” We do what needs to be done in our communities. Our national emphasis is Domestic Violence Awareness and Prevention. Would you like to learn more? Here is an informational GFWC tri-fold and my card. May I have your card? I will contact you with information on our next event. Anywhere you go, whether you’re at the office, a friend’s party, or a community meeting, you should be prepared to talk about GFWC. Consider sharing your elevator speech when you’re volunteering at places in your community, like a church or childcare agency. Tell people about the new projects your club is doing, and invite friends or neighbors to your next club meeting or service project. I suggest encouraging every member to bring a friend to your next meeting or club event. I have found that many women decided to join GFWC because a friend invited them to a meeting! Planning an event takes time and preparation, but a successful event can show potential members what your club, and GFWC, is all about. My club recently planned a dinner with a self-help speaker where we could each invite a guest. It was a wonderful opportunity to add members. Are you hosting a club-sponsored event? Why not invite prospective members to join in on the fun? You could follow the example of the GFWC Taunton Junior Woman’s Club (North Carolina), who on a bus ride to a casino fundraising trip told participants about GFWC, and gained seven new members. Or maybe try something similar to the GFWC Junior Woman’s Club of Williamsburg’s (Virginia) First Friday, a new member initiative that brings together clubwomen and prospective new member for happy hour, allowing them to mingle in a fun environment. Combining membership recruitment events and service projects allows for prospective members to see what type of causes your club supports. Try holding a new membership lunch or dinner and encourage attendees to bring donations for a cause your club supports. For example, if your club supports a local food pantry, encourage new members to bring nonperishable food items and use the event to talk about other projects supported by your club. Your club could also hold a monthly or bimonthly “meet and greet,” allowing new members to join you and get to know what your club is all about. Other than simply asking a friend to join GFWC, I think raising awareness about your club can help increase membership. In the past, I have found that Facebook posts, fliers, brochures, pictures in the newspaper, and telling others about what our club does and supports in our communities can attract ladies who have similar interests. Using public relations tools to promote your club can be an effective way to recruit new members. Post club photos and news on your Facebook page, or submit press releases and information about upcoming events to your local newspaper. Consider making a flyer or brochure for your club that you can distribute to places across your community. Radio advertisements or announcements about your club meetings or events can also help bring new members to your meeting. Developing business cards for your club is another great way to spread the word about GFWC. The GFWC Joliet Junior Woman’s Club (Illinois) installed five new members after adapting the use of membership business cards that are designed with contact information, the club’s logo, and the club’s mission statement. 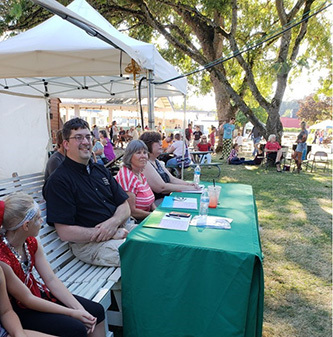 If there’s some popular events in your community coming up, why not reserve a table or booth to advertise your club? Be sure to bring informational materials about your club, and display some photos of members in action! For example, I am always ready with tickets to our events, business size information cards, or a small token that women will keep or use and be reminded of the club and what it supports. I hope these tips help you and your club recruit new members this winter. I encourage you to adapt these suggestions to best fit your needs. Check out the Membership and Communications and Public Relations Advancement Guides in the GFWC Club Manual for more information on recruiting new members and promoting your club. If would like to share your seasonal recruitment stories, please email them to Membership Services Manager Kate Garlick at kgarlick@gfwc.org. I can’t wait to read about how clubs creatively recruited new members.